Northern Essence's Vapor Rub is ALL NATURAL...and safe for even baby. 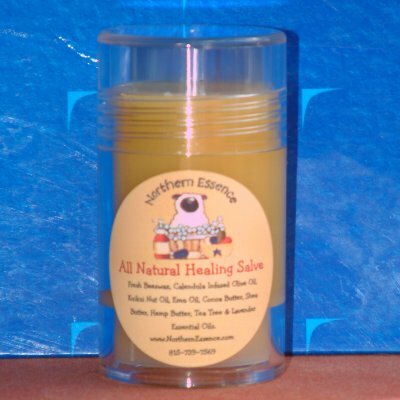 It's great salve formula with essential oils that create a NATURAL vapor (vicks like). It is a very light and smooth salve, not thick and sticky like others. Perfect for all ages! *Rub on chest, neck and you can even use a tiny bit on baby's nostril area to help relieve nasal congestion. Place a piece of flannel over baby's chest to create even more warming effect! *Recommended for babies 3 months of age and older. *Comes packaged in a convenient 1oz push up tube. If we are sold out of the size you require, just email me, and I can add it to our next order for you. Click the button below to add the Northern Essence All-Natural Vapor Rub to your wish list.